16-year-old girl from northern Israel found dead in garbage dumpster three days after she disappeared on way to birthday party. An Israeli teenager was found dead in a dumpster in northern Israel, three days after she disappeared. Police located the remains of 16-year-old Yara Ayoub in a dumpster Monday afternoon, after her family reported her missing. “The missing person, Yara Ayoub, 16, was found by Israel Police officers, with no signs of life,” Israel Police said on Monday. Police suspect Ayoub was kidnapped and later murdered. The two suspects taken into custody in connection with Ayoub’s death have been identified as a 28-year-old resident of Jish, who is believed to be the kidnapper, and a 53-year-old man also suspected of being involved in the girl’s disappearance. 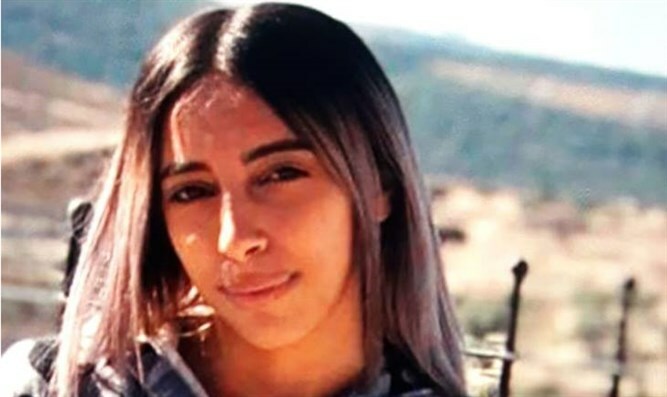 Ayoub, a Christian Arab resident of the Galilee town of Jish (also known as Gush Halav), disappeared on Friday after she left home to go to a friend’s birthday party. Relatives say she was last seen at a bakery in Jish. “She was on her way to her friend’s birthday and stopped at the bakery to buy something, and then we lost contact with her. On Monday they told us her body was found,” Nashat Ayoub, Yara’s father said, according to Yediot Ahronot. A second teenage girl was also found murdered on Monday, this time in Tel Aviv. The second victim was identified as 13-year-old Silvana Tsegai, an Eritrean national living in Tel Aviv. Police are currently searching for the girl’s suspected killer, Tesfabran Tesfatsion. Tesfatsion has been identified as the former boyfriend of Tsegai’s mother.